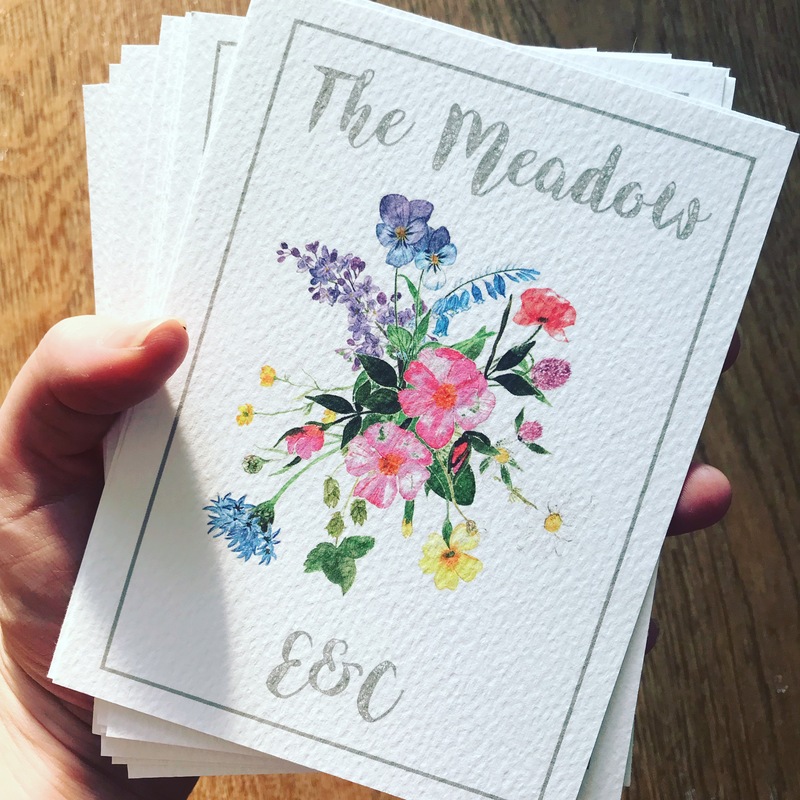 A summer full of weddings may be over, but we reckon that means it’s the perfect time to take a look back and reminisce over some of our favourite designs. From romantic palettes to hand crafted typography and modern masterpieces, we get to see an abundance of beautiful designs, so kick back and take a look at some of our favourites right here. Don’t forget, for your chance to get featured, just tag us using #ProudlyPrinted! 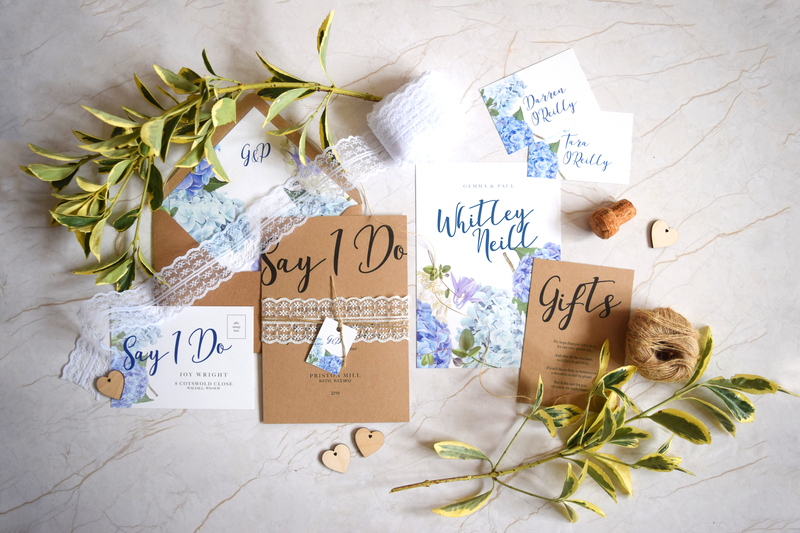 How gorgeous is this stationery suite from I Do Invites? Combining delicate lace with floral elements and rustic Kraft paper, all finished with extra special elements like Envelope Liners and Gift Tags, the little touches make all the difference. Sally, who heads up I Do Invites is a designer with over 10 years experience in the field. You’ll find her the West Midlands juggling motherhood with her daughter Cora, being a newly married wife to husband Ben, and daydreaming about her love for all things wedding, and amazing design. 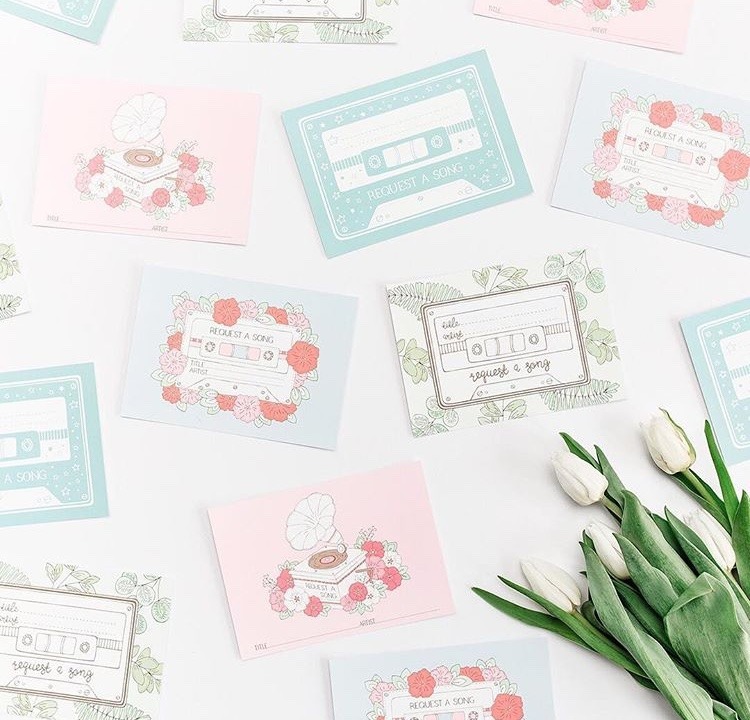 These handy little request a song Postcards make a great addition to any wedding suite – and we love the vintage, retro feel that Bea and Bloom have created here with theirs. Plus, with so many options, they’d suit any wedding theme, design or palette – the big question is, which is your favourite? Billie Bryant’s unique mountain themed designs are some of the sleekest, most unique we’ve seen! 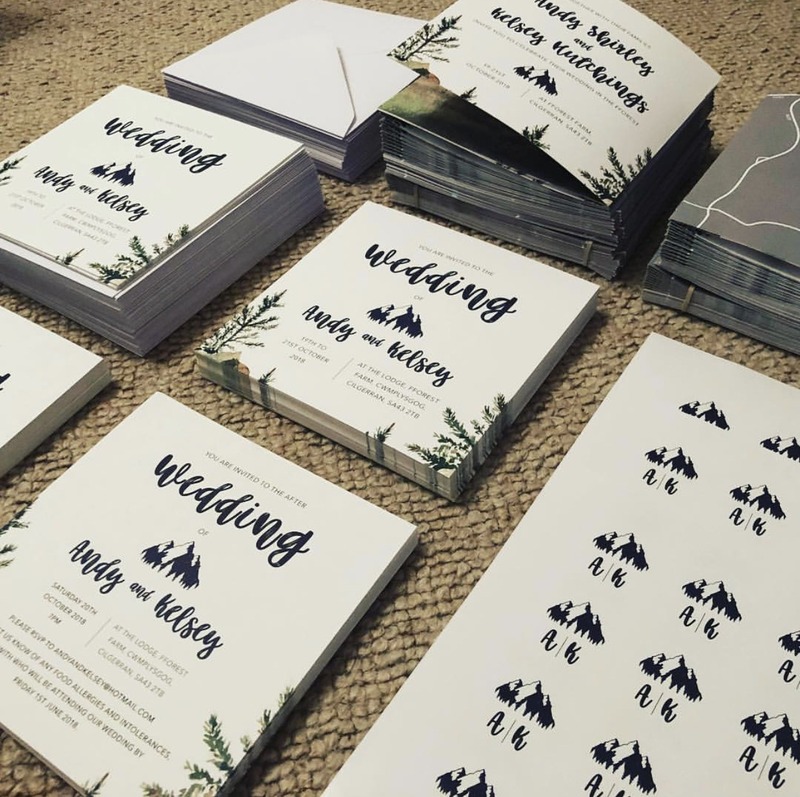 Ideal for an outdoorsy couple, we love the tiny details, like her careful logo design, teamed with a mix of striking typography, full colour photography and design-led elements. We’re suckers for tactile textures, and these invites make us just want to reach out and grab them! Texture can make all the difference, elevating even the simplest of designs, and we’ll think you’ll agree that these from Little Paper Garden are simply breathtaking! 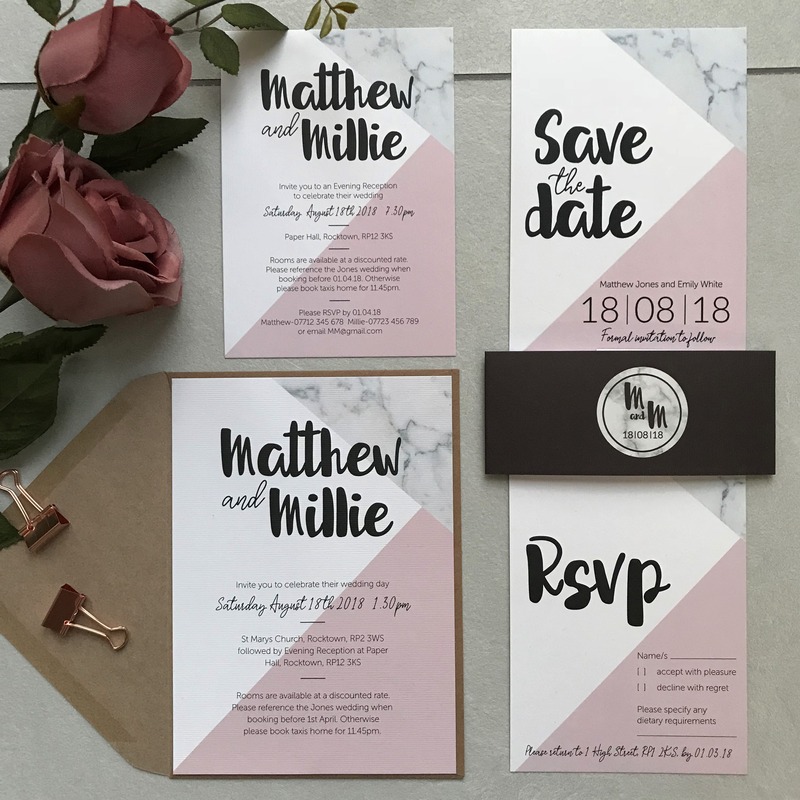 Geometric lines were huge news in 2018, but it wasn’t often we saw this bold trend creep into wedding stationery. Showing us exactly why it works, Rock Paper Kisses crafted this suite using not only a must-have trend, but two must-have shades too – millennial pink and marble. The end result is absolutely gorgeous, and definitely stands out from the crowd. 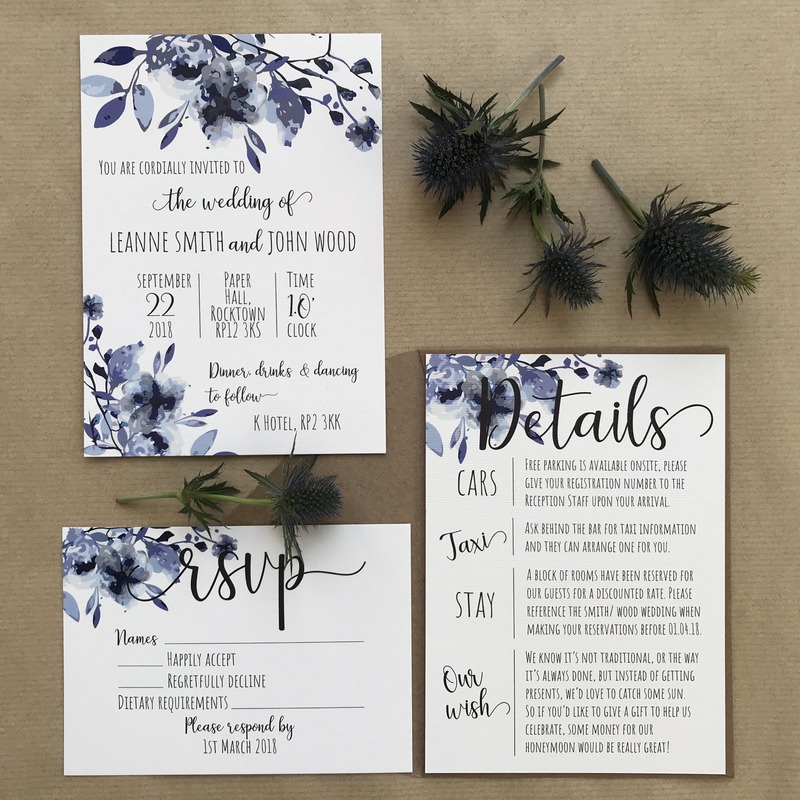 Still modern, but with some traditional touches, this suite marries together (geddit) floral elements and a mix of typography. Perfectly offset with a Kraft Envelope this suite has rustic charm aplenty. Another cracker from Rock Paper Kisses! 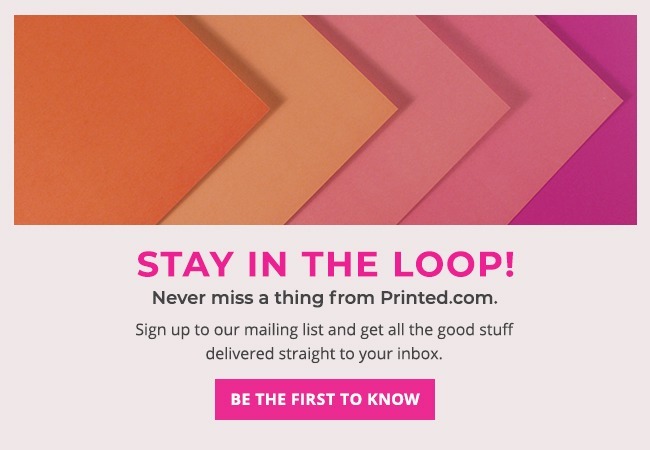 While you’re here, why not check out some other #ProudlyPrinted creations with our Colour Trends and Invite Only edition?